Every few weeks I suffer from bad sleep, either I wake up uncomfortable, or I just have a horrible disturbed night sleep. It puts me down for the rest of the day because looking after three children who are on the go all day, while you're exhausted is not good. I'm always on the look out for products that will help improve my sleep. So when the people at Kally Sleep contacted me to see if I'd be interested in reviewing their Kally Pillow, I instantly said yes. 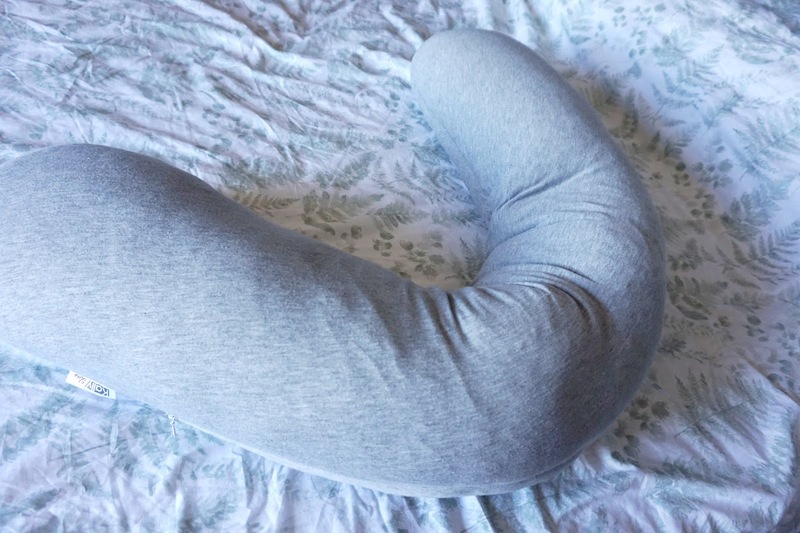 Not only is the Kally Pillow perfect for pregnancy, but it's also great for post-exercise recovery, people who suffer from sleeplessness and anyone who loves a good spoon. 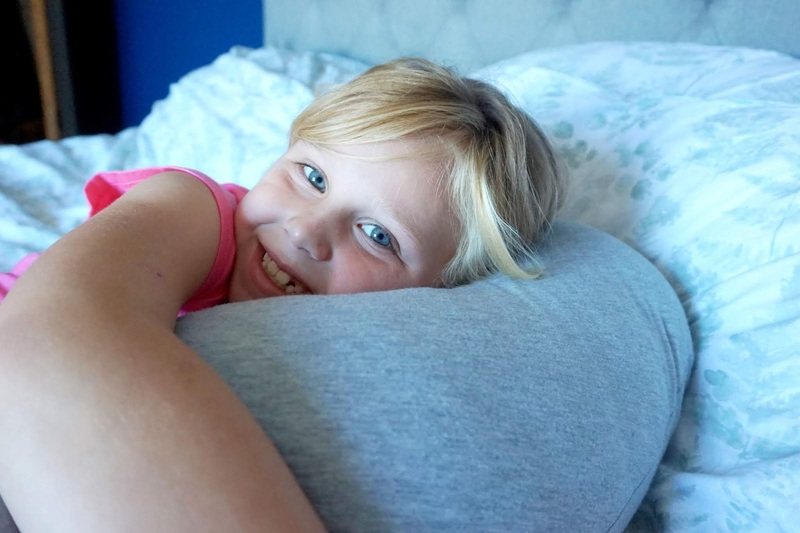 It's a breathable Jersey pillow that provides support for your back, neck and spine. It helps you stay cool, even during the hot nights. Something I really like about the Kally Pillow is its hollow fibre and moulds into your body shape which helps support for your body parts. It makes it extra comfortable for a good night sleep. It can be easily rolled up to store away, or it can be used as a pillow on your bed for 'show' as I have done. There are five different colours to choose from: burnished lilac, desert sage, heathered grey, stone blue or a stone white. I chose the heathered grey because it's one of the theme colours in my bedroom, along with it being my favourite colour. I've been trying it out now for a couple of weeks, and I am really happy to say it's honestly helped improve my sleep. I am having a much deeper sleep than I used too before sleeping with the Kally Pillow. I love the fact that it's breathable, especially with the hot weather we have been getting recently. 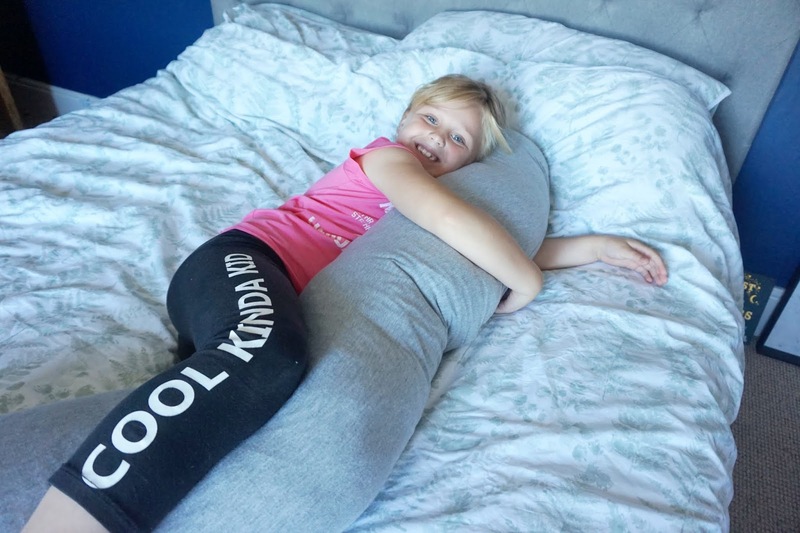 If you are looking for a hypoallergenic body pillow that helps improve your sleep, gives your body parts support while sleeping or just want to spoon, I would recommend this Kally Pillow.